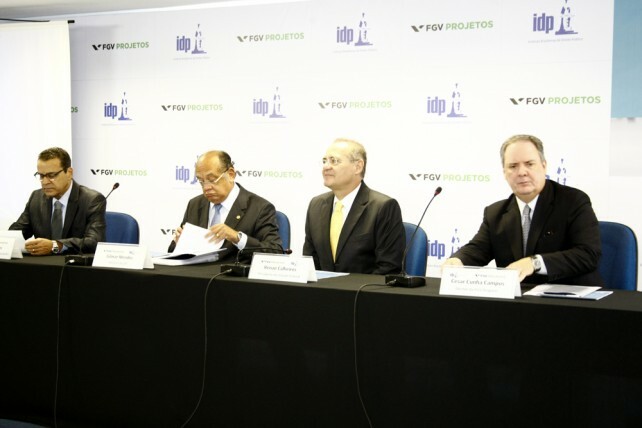 On March 18, FGV Projetos held in Brasília a seminar on Law 4.320, better known as the General Budget Law, with the attendance of Gilmar Mendes, minister of the Federal Supreme Court (STF); Renan Calheiros, president of the Federal Senate; Henrique Alves, president of the House of Representatives; Cesar Cunha Campos, director of FGV Projetos; Weder de Oliveira, minister of the Federal Accounting Court (TCU); Vicente Cândido, federal representative and president of the CCJ (House of Representatives); José Roberto Fernandes, federal budget secretary; Clara Bugarin, former president of the Federal Accounting Council; Helio Tollini, assistant of the House of Representatives; among other lecturers. In March, the General Budget Law turned 50 years. 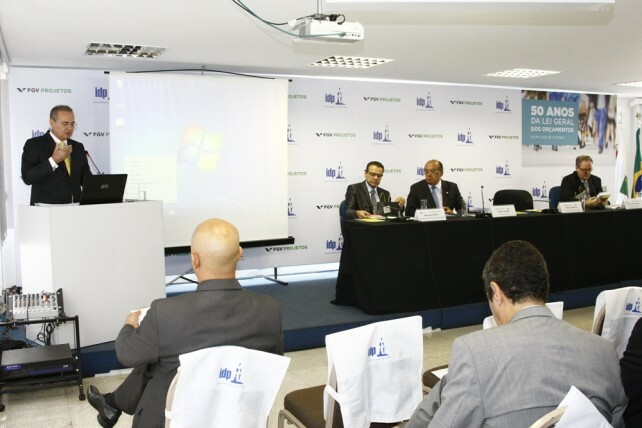 The event, organized in partnership with the Public Law Institute of Brasília [Instituto Brasiliense de Direito Público], aimed to recover this history and debate the situation of the public budget management in the country, its regulation and possible reforms. 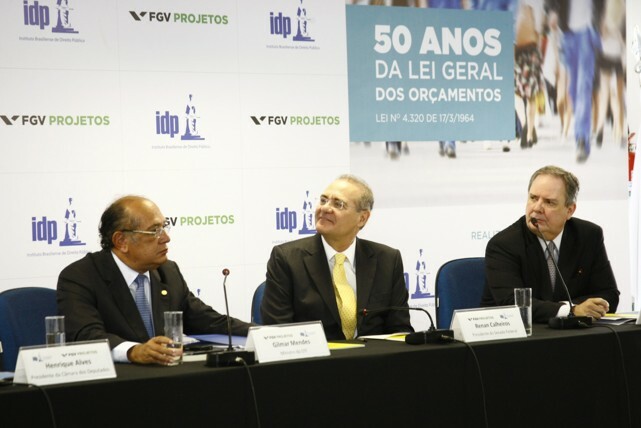 At the occasion, the recent publication of FGV Projetos was distributed: “The Brazilians’ Budget: why doesn’t it arouse greater interest?”, written by the professors of the FGV, Fernando Rezende and Armando Cunha, and organized by Cesar Cunha Campos.